Up to 80% off designer deals. Cash back and coupons for additional savings. 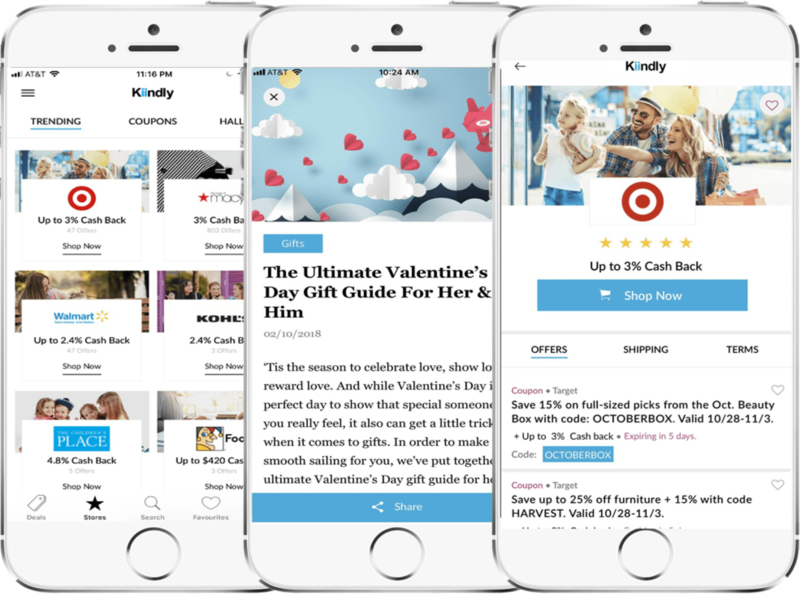 Kiindly is Americas leading cash back deals site offering coupons, deals and offers from over 1,200 leading online stores. Kiindly offers our members up to 80% off deals on their favorite designer brands like Adidas, Balenciaga, Dior, Nike, Fendi and many more from stores like Macy's, Neiman Marcus, Saks Fifth Avenue. In addition to designer deals, Kinndly provides cash back rewards on all successful purchases as well as coupons for additional savings. We are the first of its kind platform to maximize customer savings by combining deals, cash back rewards and, coupon offers. At our members’ discretion, members can keep their cash back savings or donate some or all to a charity of their choice at no extra cost. Cashrewards is the top cashback website to earn cashback and save on all your online shopping. © 2017-2018 KIINDLY. All rights reserved. If you have an account with us, Please login! Create an account to take advantage of our cash back benefits!